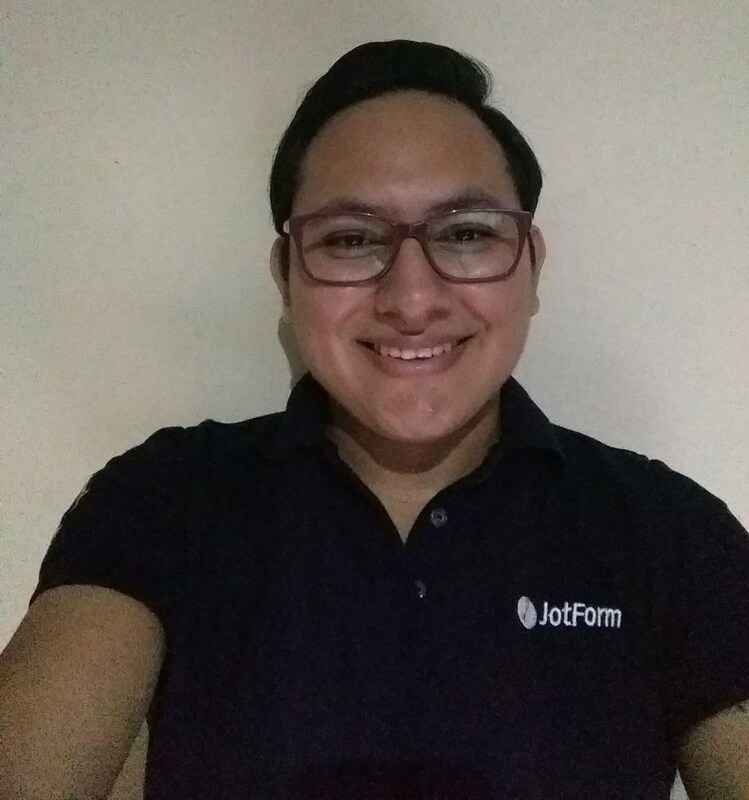 Form is not sending the information to my email address? Hi I have created a form for my customer to build there order and have a submit button at the bottom but it is not sending the information over to my email address. Is there something I need to do? 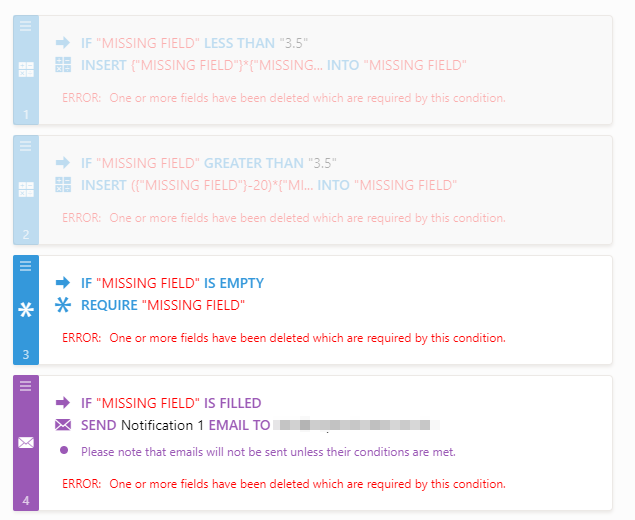 However, the conditions seem to have errors about missing fields, please note that you should either disable or delete such conditions, the only one that needs to be either fixed or deleted is the condition related to the email. If the condition related to the email is disabled then the email will not be sent, if it's fixed then the email will only be sent if the condition is met. Hi thank you I have done the above but still not receiving an email. Not sure what im doing wrong. I would also like a thank you message once my customer has clicked to submit their order.